Gift Cards/Certificates Archives - Page 2 of 20 - Got Giveaways? $100 Amazon Gift Card Giveaway – 2 Winners (Ends 8/31)! $10 Walmart Gift Card Giveaway (Ends 8/10)! Do you have goals to increase your fitness level and getting better eating habits? Balance Bar and Walmart have joined forces to help you with that goal! Now available at Walmart – Balance Bar nutrition bars bring you a smarter way to snack – helping you to acheive your fitness goals and go longer! Krista over at Savory Savings recently got to check out the Cookie Dough and Balance Bar flavors – check out her full Balance Bar review! How would you like to a win a variety pack of Balance Bars and a $10 Walmart gift card? Enter this Walmart gift card giveaway for your chance to win by using the Giveaway Tool below. If you have won a Balance Bar or Walmart giveaway anytime from another blog in the last 12 months, you are not eligible to win this giveaway. The giveaway will run from July 27 through August 10, 2014 at 11 PM CST and is open to US residents, ages 18 and older. Entries will be verified. Winners will be notified via email (consider adding gloriouslygreengal@gmail.com to your safe list) – winner will have 48 hours to respond and claim prize or another winner will be selected. $100 Lands End Gift Card Giveaway (Ends 7/31)! Disclosure: Uniform Mom, the giveaway host, is a Lands’ End Brand Ambassador and was provided compensation to organize this giveaway. Uniform Mom is not responsible for sponsor prize shipment. Please contact navyplaid@comcast.net with questions or to see your business or product featured on the next event! This giveaway is no way sponsored, endorsed or administered by, or associated with Facebook, Twitter, or Pinterest. 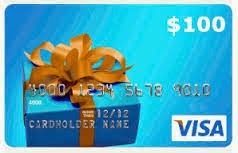 The winner of this giveaway will win $100 -their choice- Visa, Target, or Paypal. Foreverly is a new daily deal site with boutique and handmade items at up to 70% off. All items will consist of a full range of women’s, children’s, and household items and accessories, all at large discounts from their regular prices. Each sale will last for three days, and then it’s gone forever! Foreverly was conceived out of a passion for fashion and beauty and tethered to a deep commitment to help others. Foreverly will be giving back 15% of our profits to charities that help with initiatives like clean water, human trafficking prevention, and microfinance. This allows our customers to work together with us to help change someone else’s world, just by shopping for things they already want and need. Each month, we will feature and donate to a different charity. Disclosure/Disclaimer: This site or any other site associated with this event has in no way been compensated for the preceding information. This giveaway is valid where allowed by law, open to anyone in the United States who is over 18 years of age. One winner will be randomly selected on 6/22/14, notified via email, and will have until 6/25/14 to reply. If there is no reply another winner will be randomly selected. Upcoming Giveaway – $100 Visa Gift Card!